Proud of your garden? Don't be shy. 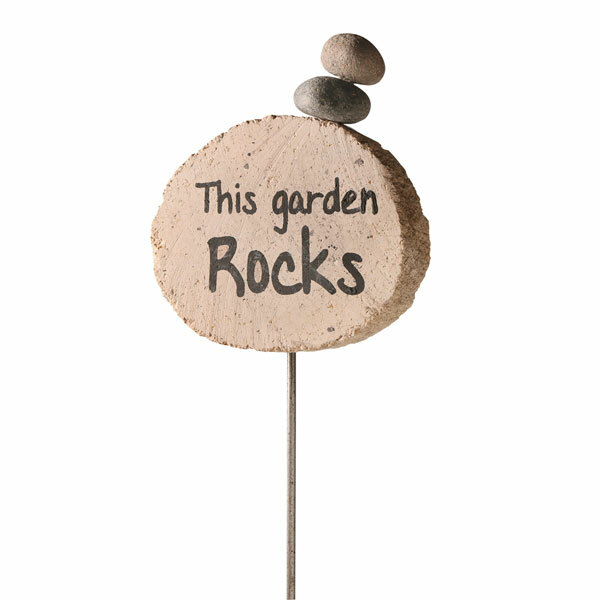 Two small stones perch like a jaunty cap on a flat rock painted with "This Garden Rocks." 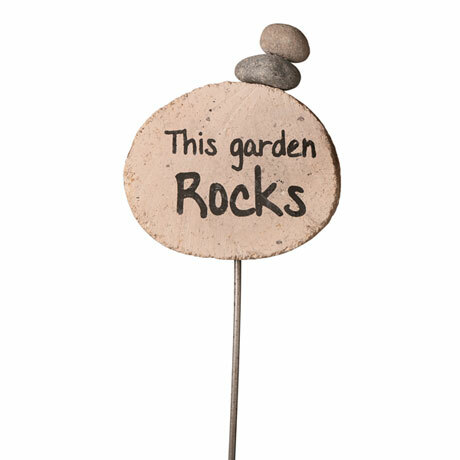 Metal stake. 8½" wide, 32" high.